The Temple of Jupiter, dedicated to the Capitoline triad of Jupiter, Juno and Minerva, dominates the north side of the Forum (the center of Pompeii, the focus of political, economic and religious life). It dates from the 2nd century BC and was part of the enlargement of the forum at that time. The podium, built in opus incertum, measures 37m x 17m and stands 3m high. The temple is prostyle with six Corinthian columns across the front and five at the sides. 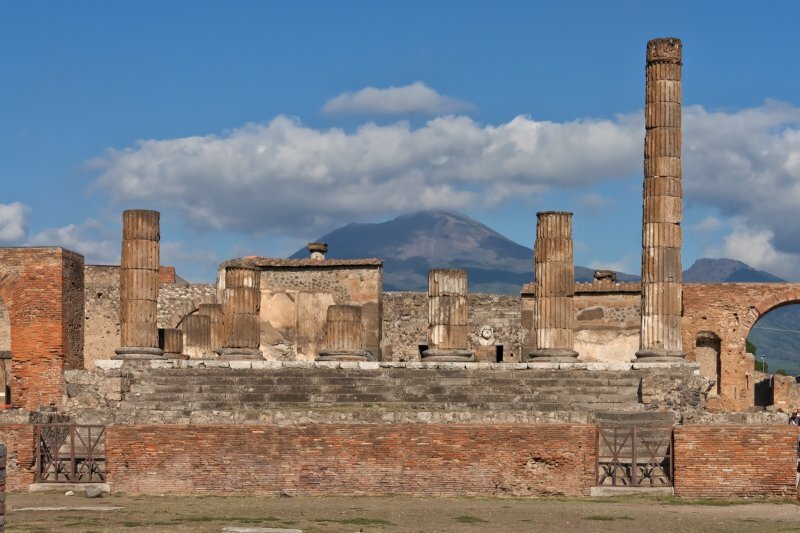 (in the background: Mount Vesuvius).